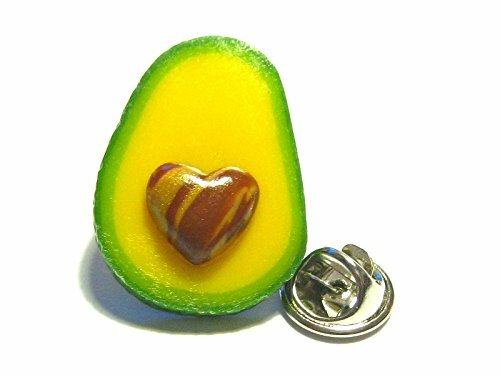 A lovely avocado pin for your tie, sweater, lapel, hats, bags, scarves and anything other fabrics in need of your favorite food. Each of the pins are secured to steel pin backs. The avocado is made from polymer clay. Size / Measurements: The pin measures about 0.75" wide by 1.05" high. The tie tacks are 0.30" long.